As reported online at Space.com, the Boeing Company is already working on the CST-100 space taxi as a means of transportation to and from the International Space Station (ISS). But the aerospace firm is not content with just this simple space capsule and is looking into whether-or-not another of Boeing’s current offerings – the X-37B space plane could be modified to one day ferry crew to and from the orbiting laboratory as well. proposed variant of the spacecraft, dubbed the X-37C, is being considered for a role that has some similarities to the cancelled X-38 Crew Return Vehicle (CRV). The announcement was made at a conference hosted by the American Institute of Aeronautics and Astronautics (AIAA) and reported on Space.com. The X-37B or Orbital Test Vehicle (OTV) has so far been launched twice by the U.S. Air Force from Cape Canaveral Air Force Station in Florida. One of the military space planes completed the craft’s inaugural mission, USA-212, on Apr. 22, 2010. The mini space plane reentered Earth’s atmosphere and conducted an autonomous landing at Vandenberg Air Force on Dec. 3, 2010. The U.S. Air Force then went on to launch the second of the space planes on mission USA-226 on Mar. 5, 2011. With these two successful launches, the longest-duration stay on orbit by a reusable vehicle and a landing under its belt, some of the vehicle’s primary systems (guidance, navigation, thermal protection and aerodynamics among others) are now viewed as having been validated. The vehicle has performed better than expected with the turnaround time being less than predicted. If the X-37C is produced, it will be roughly twice the size of its predecessor. The X-37B is about 29 feet long; this new version of the mini shuttle would be approximately 48 feet in length. The X-37C is estimated at being approximately 165-180 percent larger than the X-37B. This increase in the size requires a larger launch vehicle. This larger size also highlights plans to have the spacecraft carry 5 or 6 astronauts – with room for an additional crew member that is immobilized on a stretcher. The X-38, manufactured by Scaled Composites, was designed, built and tested to serve as a lifeboat for the ISS. In case of an emergency, crew members on the ISS would have entered the CRV and returned to Earth – a role that now could possibly be filled by the X-37C. The key difference being that the CRV only reached the point of atmospheric drop tests – the X-37B has flown into space twice. The crewed variant of the X-37 space plane would contain a pressurized compartment where the payload is normally stored, it would have a hatch that would allow for astronauts to enter and depart the spacecraft. Another hatch would be located on the main body of the mini shuttle so as to allow access to the vehicle on the ground. The X-37C, like its smaller cousin, would be able to rendezvous, dock, reenter the atmosphere and land remotely, without the need of a pilot. Acknowledging the need for pilots to control their own craft however, the X-37C would be capable of accomplishing these space flight requirements under manual control as well. As mentioned in the Space.com article, one of the other selling points for the X-37C is its modular nature. Different variants could be used for crewed flights or unmanned missions that could return delicate cargo from the ISS. Neither the Russian Soyuz spacecraft, nor commercially-developed capsules are considered as appropriate means of returning biological or crystal experiments to Earth due to the high rate of acceleration that these vehicles incur upon atmospheric reentry. By comparison the X-37B experiences just 1.5 “g” upon reentry. The launch vehicle that would send the proposed X-37C to orbit would be the United Launch Alliance Atlas V rocket. In provided images the X-37C is shown utilizing a larger version of the Atlas booster and without the protective fairing that covered the two X-37B space planes that were launched. Neither the Russian Soyuz spacecraft, nor commercially-developed capsules are considered as appropriate means of returning biological or crystal experiments to Earth due to the high rate of acceleration that these vehicles incur upon atmospheric reentry. By comparison the X-37B experiences just 1.5 “g” upon reentry. That is so much space dust from Boeing, moving goalposts that isn’t even there. First, the STS was throttled to keep the Shuttle at ~ 3 g during ascent. Roughly as much g’s could be handled during descent, but maximum ~ 1.5 g was nominal. Second, it is only the subset of fragile loads that would be of interest to keep from undue stress. Most biological and crystal experiments are looking for robust effects and materials. The japanese Kibo Cell Biology Experiment Facility has a centrifuge that deliberately can be pushed to 2 g, and so has the european BioLab. And crystals, well, duh, can take much more. Diamonds can take 100 000’s of atmosphere loads. Back in the late 1970s while learning to become a private pilot with the York University Flying Club we were given a special tour of the air traffic control (ATC) tower at Toronto International Airport. I believe they allowed this to discourage us new pilots to stay clear of this very busy airport. I was told about other air traffic that frequently gets picked up by their ATC radars. This included objects zooming through the sky at least 3 times FASTER than the Mach 3 objects one ATC operator told me he used to detect while working near the eastern coast of Canada back in the 1960s (they did not know about the SR-71 Blackbird back then) and manned “aircraft” requesting permission to enter a lower flight level from an impossibly larger one (impling they were coming in from space) only to suddenly appear in their radar zone from above when it was granted. Yes, manned space planes have been flying for decades. Our atmospheric science researchers have been observing their extremely fast forming contrails at very high altitudes where no known airplanes fly. Although this is not a secret among my space colleagues, one of our scientists got himself into a lot of trouble over a decade ago for publicly revealing too much information about the frequency and characteristics of the unusual contrails he observed at the outer edges of our atmosphere. I can tell you a lot, lot more about these secret manned spaceflights but this is not the forum to do so. Conspiracy contrails conserve confusion. Fast forming clouds is the simplest prediction; aren’t uncommon to boot. The imagined patterns and their lack of statistics (and here references) points to the well known efficiency and overuse of animal’s pattern detector. As SpaceX Elon Musk has correctly stated, what we need is a completely reusable line of vehicles! Let’s see if this is possible. I’ll get excited when the first solar sail craft will travel our star system… of course with astronauts piloting the “ship”, and when we can use ‘dark matter’ as a source of power..
First the dream, then the idea and then realizing it! NASA’s Administrator, Charles Bolden Jr., has recently given the green light for a U.S. company, Sierra Nevada, to use their Space Shuttle facilities at Cape Kennedy for its future space plane, the Dream Chaser. This privately designed and built space plane is designed to launch up to 7 astronauts into low Earth orbit using the existing powerful Atlas V booster. Both the proposed X-37C space plane and the Dream Chaser are based on the same lifting body technology that NASA developed decades earlier but never put into use by its own manned space program. There are serious discussions going on between York University space scientists and engineers and private industry (including Bob Bigelow for his planned orbiting space hotel) to purchase a small fleet of these Dream Chasers for Canada’s independent manned space activities in the coming years. These activities include proposed manned lunar space missions and possibly even a manned base on Earth’s “second moon” Cruithne – a newly discovered near Earth asteroid made by space scientists at York which has exactly the same solar orbital period as the Earth and Moon! If the purchase price of a Dream Chaser is about the same as the current price of $150,000,000 for a single F-35 Joint Strike Fighter which Canada intends to purchase to replace its F-18 fighters, we can recover our entire investment after just a few flights into space. This can be done by training astronauts of other nations and charging them much less than the $60,000,000 the Russians are now asking to train and send a single foreign astronaut on their Soyuz capsule (just one or two at a time) to the International Space Station. As for new and exotic propulsion systems that can send humans to explore the many worlds that may harbour life in our solar system (Mars, Titan, Europa, etc.) and have the potential of sending humans in this generation to newly discovered Earth-like worlds orbiting around nearby stars, just check out what has been released by our own space scientists such as Stoyan Sarg. We don’t “need” reusables for manned missions. Musk needs them for colonization. 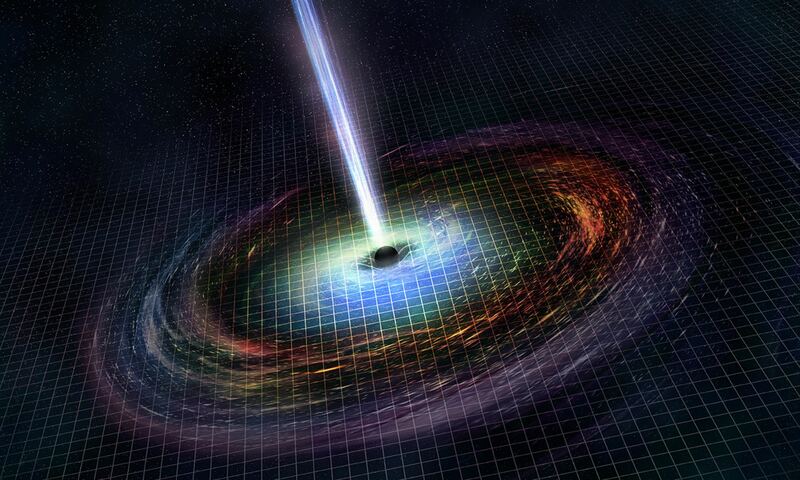 dark matter would be a good source of power but you need just as much power to make the stuff so unless you want to go into a black hole to get the other natural made 50% out…. h3 fusion reactors are viable (near future) and since one of the few challenges left is suspending the matter in the center, it would work better in space. I dunno how dark matter can be a “source of power” considering it doesn’t want to react with other matter and indeed is “power silent” except for showing up indirectly in gravity lenses. How many people could they cram into a modified X37B? Six astronauts in a modified/enlarged 37C seems excessive. Something that could hold three people seems more practical and inexpensive. Would love to see Canada do just that (or anyone else.) Remember, more competition means lower costs, and more incentive to make it better, more efficient, and cheaper. anyways glad someone is pushing reusable craft again… they are a superior launch and reentry system if there designed right… the space shuttle was poorly designed with outdated tech modern shuttles do far better than any rocket ever can. the system to get them in to space still needs work though..
i thank space x has the right principle by flying them most of the way to space, but it needs to be a integrated plane and not just a carrier. Carbon nanotubes can be used in tanks – they leak (so far). They can’t be used for hot surfaces – they burn.